Where were all the autonomous transportation options back when I was in school? 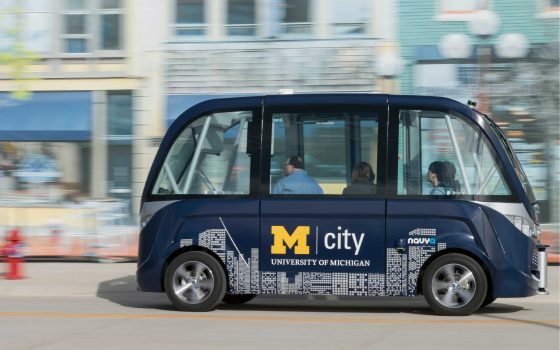 This fall, students attending the University of Michigan will have the ability to ride a driverless shuttle bus, which will run a two-mile route between the Lurie Engineering Center and the North Campus Research Complex on Plymouth Road. Developed by French startup Navya, in collaboration with Michigan’s Mcity, two self-driving shuttles will be responsible for transporting up to 15 passengers a piece at one time. “This first-ever automated shuttle service on campus is a critical research project that will help us understand the challenges and opportunities presented by this type of mobility service and how people interact with it,” said Huei Peng, director of Mcity and a professor of mechanical engineering, in a statement.